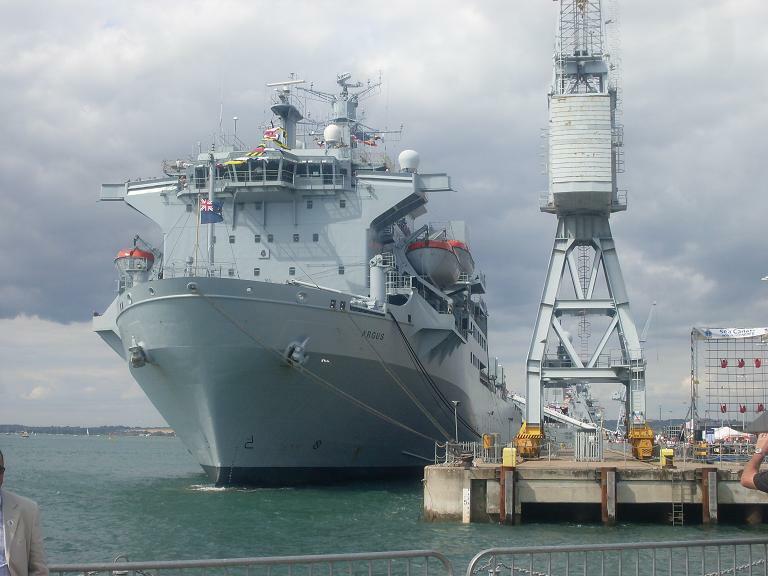 RFA Argus is a Primary Casualty Receiving Ship, with secondary roles as an aviation training ship and a general transport. She was launched in 1981 as the civilian container ship MV Contender Bezant, and served in the Falklands War as an aircraft transport. After the 1982 conflict she was purchased by the MOD and fitted out as an aviation training ship. In the Gulf War of 1991 she served as a casualty receiving ship, and its in this role that she was given a major refit over the past few years. She now has a very impressive medical facility, crewed by over 200 medical staff. There are 3 operating theatres, a recovery wing and a full general ward. Apparently the patients receive one-to-one care, with a nurse for each person. The ward has exactly the same facilities you would expect in an NHS Hospital, but tailored very much with the need for treating freezing cold sailors in mind. The medical staff do not routinely stay onboard the ship unless on a specific tasking. The ship is on very short notice to sail, and the medical staff will be picked up along the way. Apparently she was put on notice to go to Iceland during the volcano affair. She was also almost used as a casualty ferry during the first phase of the Afghanistan War in 2001, when it looked like she would be the only way of bringing casualties home. Argus has a very impressive flight deck and hangar – ideal for receiving casualties and then sending them on home when well enough. The ships company of Argus also put on a very good display and were very informative. 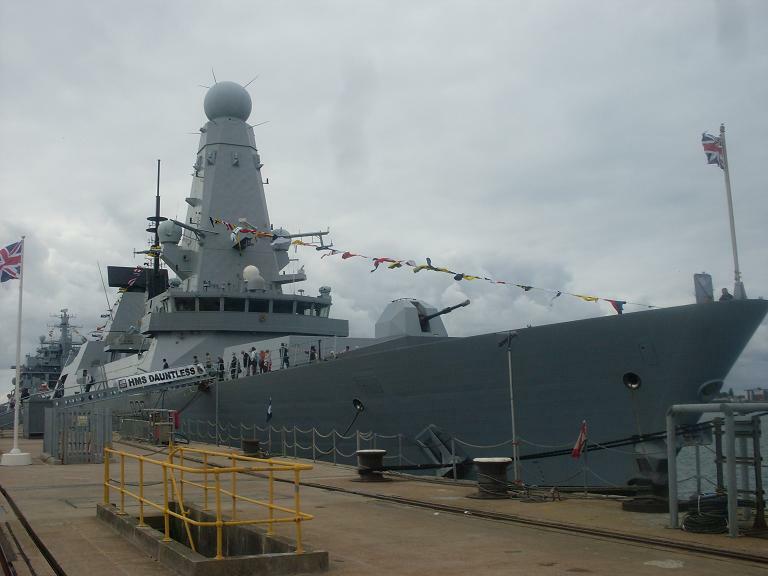 HMS Dauntless is the Royal Navy’s newest Type 45 air defence Destroyer. 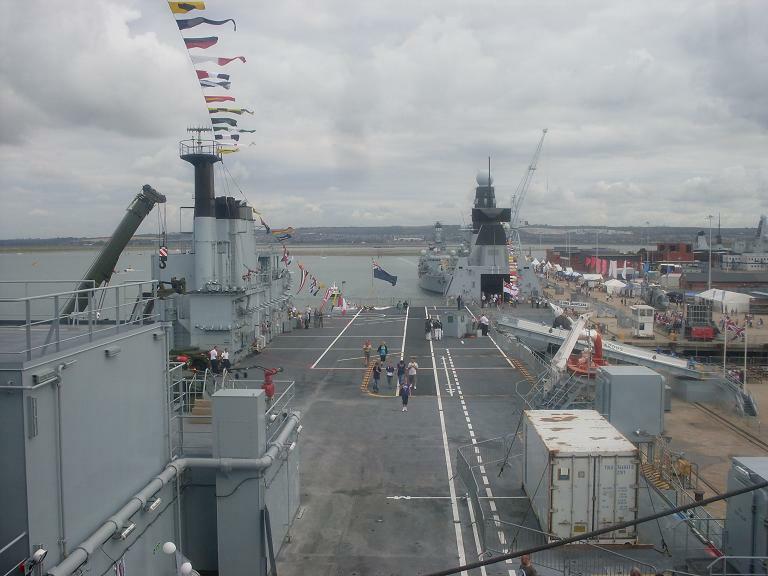 Navy Days 2010 is the first time she has been open to visitors, and not surprisingly there were lengthy queues to get onboard. The tour did not go up to the bridge, but did include a very interesting look in the Ops room. I enjoyed talking to the Principle Warfare Officer, about Sea Viper (Dauntless are due to test it in September) and how it can track 36 targets at once, and how the command system is light years ahead of what the Navy is used to. All of the command systems are based on Windows, meaning that any young sailors joining up wont take long to learn how to use it! The most impressive thing about the Type 45’s is the space – they are so much more roomy than older ships, so claustrophobia is not such an issue as on a Type 42. Apparently, the Phalanx systems due to be fitted to the 45’s are brand new, and not ripped off of the old Type 42’s as reported in the media – the Phalanx’s from the 42’s are now guarding Kandahar airport! Apparently the 45’s are also built with the space for a surface weapon system such as Harpoon in mind – there is space on the superstructure, a space for the electronics in the Ops room, and even the crew is designed with it as a possibility. Sadly it was difficult to linger on Dauntless, given the crowds. It would have been nice to see a bit more of the ship too. Her sister ship Daring was also on display, but I’ve already been on her, so I gave those queues a miss. 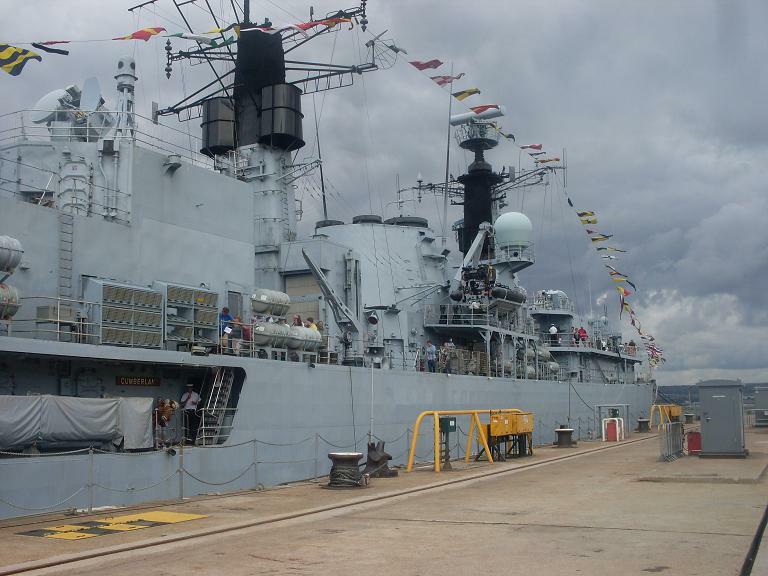 HMS Richmond and Westminster are two of the Royal Navy’s Type 23 Frigates. The Captain of HMS Westminster was on the bridge when I went round – why dont more Captains do it? – and was happily talking to visitors. Apparently there is a waiting list to join the Navy at the moment, and more than a few of his junior seamen have degrees. The Type 23’s are not exactly the most interesting ships to look round, but it would still be nice to see more of the ship and to see some interesting demonstrations or displays. 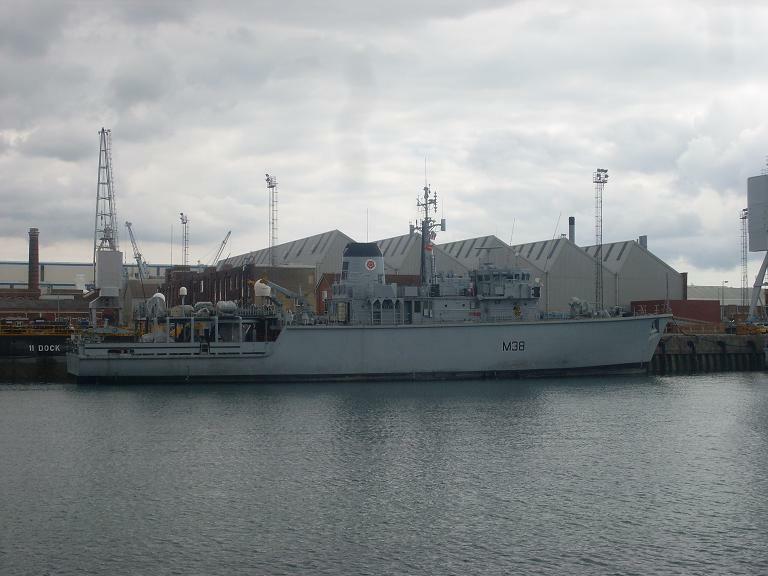 HMS Cattistock is a Hunt Class Mine Countermeasures Vessel. The Portsmouth Minesweeper Flotilla at present rotate, with ships spending several years in the Gulf, and the crews rotating on them every 6 months or so. The crew on Cattistock put on a first class display, talking about their role, how they deal with mines, and the Chief Petty Officer gave a very good talk about firefighting at sea. And apprently the Coxon likes a spot of fishing, and has a rod and line ready most of the time. Just goes to show, the little ships can be the most interesting, and its not size that counts – if the crew put the effort in, everyone learns something. Only one thing, I counted 5 other Hunt Class ships in the Basin – why not open up another one to relieve the queues for Cattistock? HMS Tyne is an Offshore Fishery Patrol Vessel. She guards the UK’s territorial waters, and inspects the catches of fishing vessels, and generally makes sure they are playing by the rules. The young officer on the bridge gave a very interesting talk about how maneouvreable the ship is, and how tricky it is navigating around boats with miles of nets trailing behind them. Apparently the Tyne and her sister ships are also occasionally tasked to ward off snooping Russian warships in the North Sea…..
Obviously I’ve been quite vocal in my thoughts that Navy Days without a major surface ship – such as a Carrier of Landing Ship – is not really on. I still think the Navy has scored a big own goal by depriving its major annual profile-raising event of a star attraction. But I must confess what was on show was still worth seeing. RFA Argus in particular was very interesting. Another point I would stress, is that some ships made a lot more effort than others – after a while looking at the same SA80, GPMG and firefighting displays gets a bit repetitive. And crew members who are knowledgeable and good at engaging with the public really make these kind of events. 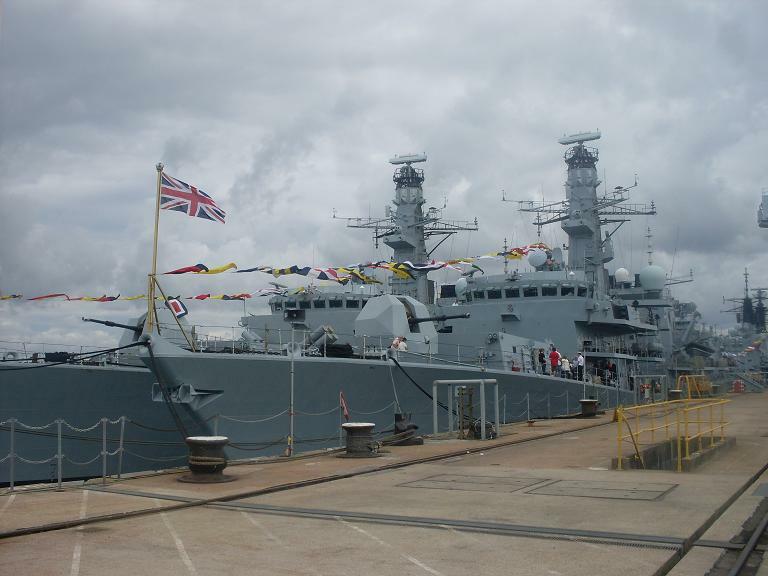 I’m puzzled as to why a Type 42 was not put on display – as far as I know there are several in the Dockyard at present. Perhaps the Navy wants to forget that they exist, in favour of the Type 45’s. The lack of any foreign warships is a mystery, its unknown for a Navy Days to take place with not a single visitor. One wonders whether we have offended everyone – have we not been sending any ships to their Navy Days? A foreign visitor would really have made a difference, as would an aircraft carrier or a landing ship. You know what we need to push for? Working historical warships. We have B-17s and Spitfires and Lancasters (oh my! ), but none of the museum ships goes anywhere. Wouldn’t HMS Belfast look tremendous among those DD and FF? Just imagine if the USS Texas, or Alabama, or Iowa could put in for Navy Days. I think we need to get one of those grand old dames of WW2 up to working order. BTW, you do realise that, to have USS Wisconsin and USS Iowa as museum ships, the groups involved MUST keep the engines and a number of major mechanicals fully operational, if the US Navy wants to recall them. A place to start, perhaps? Yes, I know they’re not British, but I think it’d be a bit hard to get KG5 or Rodney sailing again. (Sorry, that was cruel.) Thanks for your time and trouble. Thats a very interesting point. Belfast has been in Portsmouth before for maintenance funnily enough… it would be a start even if a ship like the Belfast could go ‘on tour’ maybe once or twice a year, to events like this – brilliant outreach for people who live outside London, and somewhere like Portsmouth is where she really belongs. A US Battleship on display would bring in thousands, me included! As an aside, I remember reading an opinion once that of Britains WW2 ships, Warspite would have been a better choice for a museum ship – a very proud history indeed. Just read the great report on the Navy Days at Portsmouth. As for there not being any visitors, there were to to four. The french were to sent a Minehunter I believe. Crew of around 39. The Japanese were to sent three ships during there round the world training cruise. These being the Kashima TV3508 (at the Navy Days two years ago),Yamagiri TV3515 and the Sawayuki DD125. For some reason I have been told them went to Lisbon. They are due in Rota (Spain) on Wednesday 11-08-2010. See Sea Waves Magazine for a detail list of there cruise and other ship port visits around the world. Hi Dave, thats interesting. The French were due to send FS Cormoran, a patrol vessel, but pulled out at the last minute. I thought it was strange that the Japanese did not attend, as I know they normally have an annual training/flying-the-flag cruise. 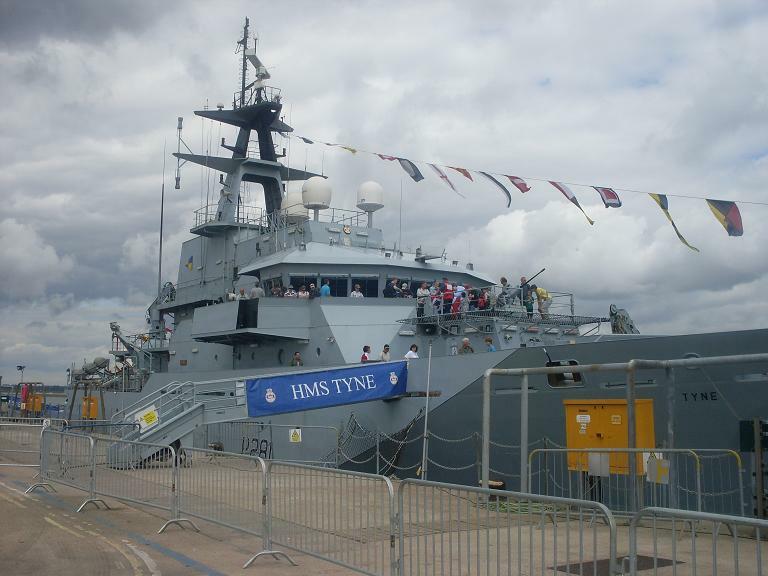 I still wonder who we offended, as the RN usually sends ships to other country’s Navy Days – HMS Tyne is off to Copenhagen this weekend I believe – and such things should really be on the basis of an exchange. You are right. The imagery is kind of impressive, but when you know what would be possible you get kind of disappointed. Felt the same way. Pingback: Type 42 destroyer | Corvettes! Very interesting article. I missed the Navy Days this year. But I will go the next time. That’s for sure! Hi Markus, glad you liked. Next year Navy Days is due to be in Devonport/Plymouth. Apparently there might not be one in Portsmouth in 2012 due to the Olympics! There is also speculation of the iPad Mini being launched at the exact same occasion. And the awesome +nice-to-haves+ make it fascinating to perform with. I paid $299 for the 32GB design simply because I experienced a previous Iphone. Which program ought to you use, and how does it function? had been actually on the telephone. For other jailbreak software program, check out BestJailbreakSoftware. What’s even better, though, is an unlocked Iphone 3GS. Jabra is one of the leading manufacturers of Bluetooth headsets. Equally Gone With the Wind and The Wizard of Oz hit the giant screen in 1939.
of the cast. You will find free PSP video converters out there. do not connect with their Park Cash alternatives. Facebook is among the many social media marketing websites. Modest sacrifices can enjoy big returns. on the back. Note that movies aren’t integrated in the iCloud backups. As of Tuesday, there is now a membership design in place. We shall see some of the apps you must have, in the subsequent list. Install an file supervisor app this kind of as ASTRO File Manager and discover the WhatsApp backups folder. gameplay. Subsequently, click File methods to reproduce an issue. You will find two types of wooden blinds – ramin and bass. last summer’s vacation that you know you got. decline in performance once this happens. The start menu is the most notable change to the standard Windows OS.